The motorcycle of the future is so safe riders can cruise without a helmet and never fall off, giving all of the thrills with none of the danger, according to BMW. 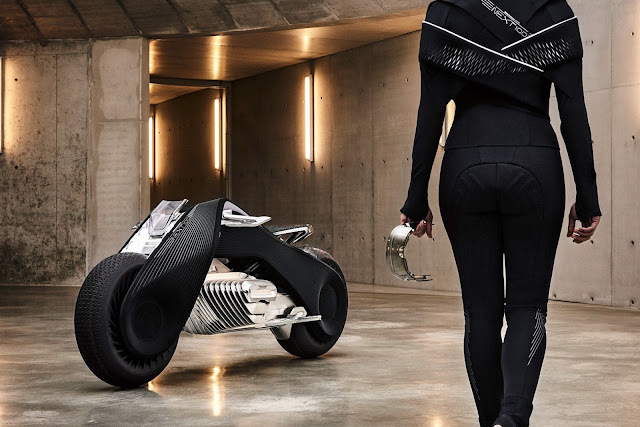 The German automaker unveiled its Motorrad Vision Next 100, a sleek, self-balancing prototype the company released as part of its 100th anniversary celebrations. 'Its self-balancing system will help protect the rider at any time,' said Edgar Heinrich, the design director of BMW's motorcycle division. 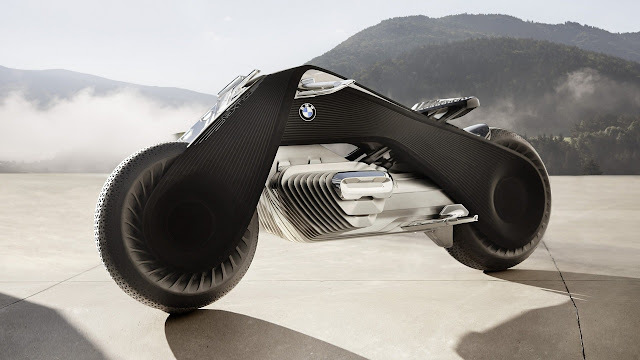 According to BMW, the 'flexframe' extends from the front to the rear wheel of the BMW Motorrad Vision Next 100. This means the bike can be steered without the various joints found on today's motorcycles. Turning the handlebar adjusts the entire frame, changing the direction of the bike. The bike also rights itself while even stationary, remaining upright when the rider has dismounted. 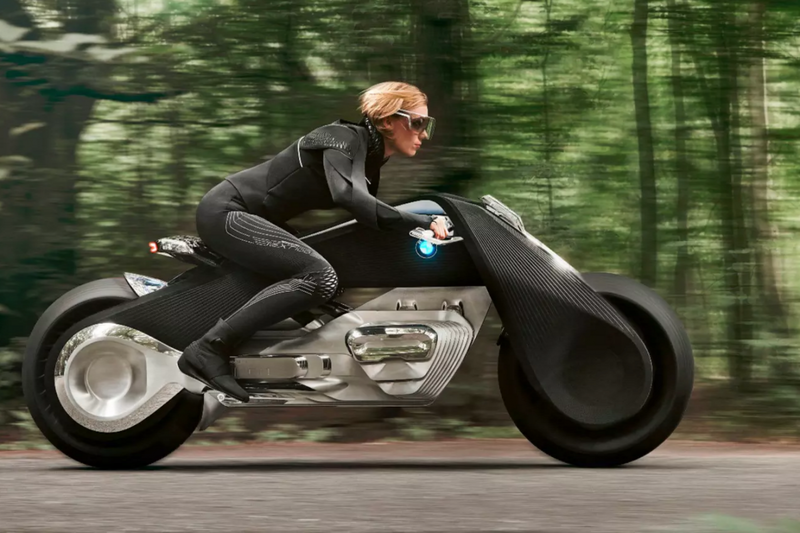 The balancing systems will ensure a particularly agile and dynamic riding experience with even lighter handling. 'Motorcycling is about escaping from the everyday: the moment you straddle your bike, you are absolutely free. Your bike is The Great Escape,' said Mr Heinrich.